Plover Cottage offers the ideal stopover for the weary traveller. Come relax in the beautiful countryside of big sky country and breathe the fresh air of the Orange Free State. Make your overnight stop part of your holiday. 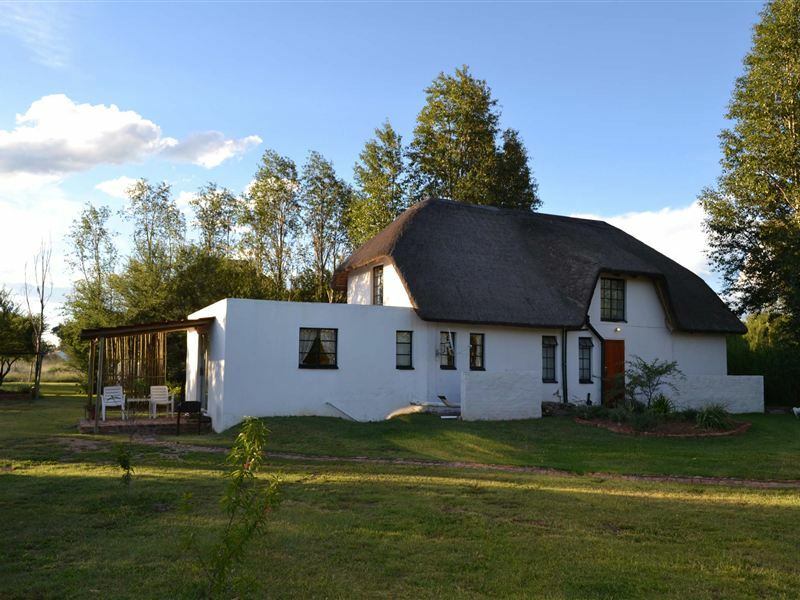 <br /><br />Plover Cottage caters for the overnight traveller and those visiting Bloemfontein who prefers the peace and quiet of the country to the noisy city. We are not involved with conferencing and guarantee no loud business parties. The cottages are furnished with antique and collectable furniture with heaters and extra blankets in each room for the cool winter nights. All the units offer cooking facilities for those who prefer cooking for themselves. Continental breakfasts are available with dinners on request.<br /><br />The Glen area of Bloemfontein is steeped in history and offers interesting walks and crystal clear night skies. There is a nine-hole golf course nearby and the Modder River and neighbouring farms provide a true country setting with calming night sounds. "peace and quiet & space for my dog"
"Overnight journey moving from the Cape to Johannesburg. Very welcoming & the fact that wee could enjoy a lovely braai with all the side dishes provided by Karien." "The unit was clean, spacious and equipped with everything you need. The host was super friendly and very helpful, she makes you feel at home as soon as you arrive. The guest house is conveniently situated to the freeway, so makes a perfect stop when you need a break on a long trip. Our dogs loved running around exploring the garden. It was also a great way to get away from the New Years fireworks. Our fur children were relaxed and happy." "It is really in the bush, lovely feeling." "There is no breakfast included and no wi-fi ." "Nice, comfortable and quite place with everything you need perfectly situated from Pretoria. Also, the four legged family enjoyed it immensely." "A small table for luggage"
"The cottage was very nicely prepared for my stay, coffee, tea and milk ready for the weary traveller.The position , close enough to the N1 , makes it very convenient for travellers.I will definitely be back. Thank you Karien"
"Being out in the country was great, nice and peaceful, a perfect stopover point to break a long journey, pet friendly and extremely friendly and helpful hostess." "The unit was very clean and tidy, and Karlien the ultimate hostess. She made sure that we were happy with everything and even supplied us with braai spices!" "It is nice and close to the highway, which makes access easy. Plenty safe parking for our caravans. The units were clean and comfortable. The service was very friendly and welcoming. We will use it as a stop over again should the need arise." "Really great place to stop over on the journey home - basic, but nice and private, clean and with all the necessities. The kids loved the plunge pool to cool down. Thanks for taking such good care of us!"